Blue Peacock Pin Jewelry at Anwo.com Animal World® is peacock bird lover fashion fun. Featuring detailed fine enamel on 22ct gold plate this Blue Peacock pin measures 2.75" long. 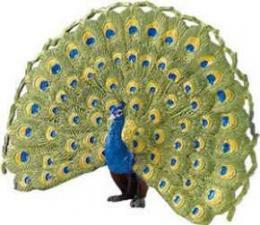 Shop our Peacock Gifts Store at Anwo.com Animal World® page for additional Peacock gift items.